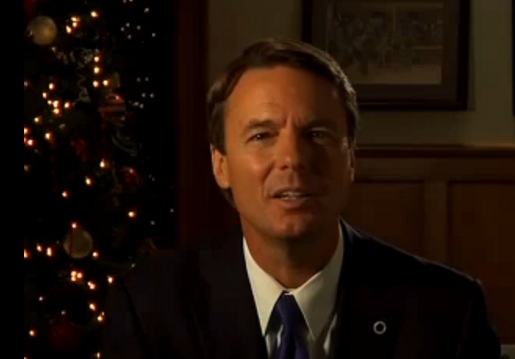 John Edwards, would be Democrat presidential candidate in the USA, connected the holiday season with homelessness and concern for veterans, evoking a sense of social responsibility among his viewers. One out of every four homeless people on our streets is a veteran. Thirty-seven million Americans live in poverty. Who speaks for them? We do. This is the season of miracles, of faith and love. So let us promise together: you will never be forgotten again. We see you, we hear you, and we will speak for you. In America, the chance to build a better life is a promise made to each of us, and the obligation to keep it rests with us all. I’m John Edwards and I approved this message.